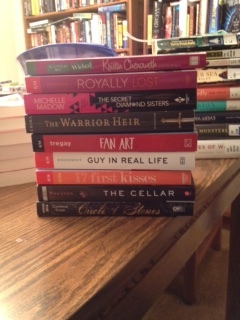 I finished 4, DNF 2, read some short stories, started 2. As long as I am around and don’t have previous plans, I will participate as a reader. We had a nice walk and got some ice cream, but the reading part didn’t go so well. I started two books and decided I didn’t like them and took them off of my to-read list. At least I know now. I will read while dinner is cooking. Reading right now: I am going to read a little of Cultures of War: Pearl Harbor / Hiroshima / 9-11 / Iraq by John W Dowe and when I have had enough non-fiction will grab a fun YA book. Snacks: Got ice cream while it was still nice out! 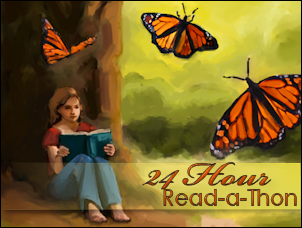 How is your read-a-thon going? It is time for my break. It is gorgeous outside and I want to go for a walk with Jason. So far it has been awesome! Snacks: I had breakfast, lunch, and a full pot of coffee! Read anything good yet? Landline was absolute perfection. It has started. Okay – it started 40 minutes ago, but good enough for me! And, as always, I will start with the kick-off meme. I don’t have any planned! Right now – breakfast and coffee! I have an awesome husband who thinks I am a little nuts for doing this. Making the coffee right now! 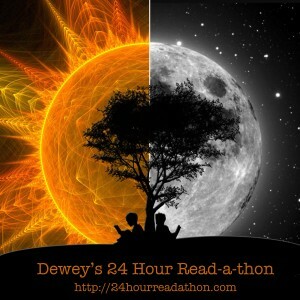 The April Dewey’s Read-a-thon is tomorrow! These days are some of my favorites of the year! 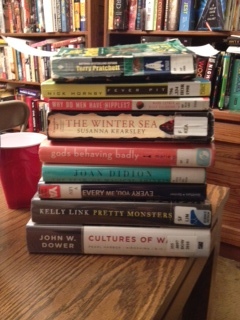 This is the stack from the library. 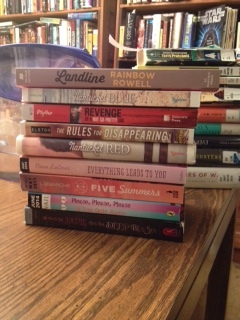 All of these books are on my list for The 2014 TBR Pile Challenge. I figure I may as well try some of them! These are a bunch of fun books! I can’t wait to get started. I won’t set an alarm because it is the weekend.What should I make sure I read? I know I will read Landline! I keep hearing that the dystopian trend is over, but then I read a book like this and see that is not true. There is plenty of room for new stories that look at a possible future in a different and scary way. The actual story of this was completely engrossing. What is really going on is slowly hinted at, so by the time Devin figures it out the reader has just gotten it also. Figuring it out with him actually made it even more shocking because the realization just started to dawn on you. I don’t want to spoil it, but it is disturbing in the best possible way. I adore Devin. He is such a good character. He is a good person, which always helps, but he is also bright, inquisitive, and very brave. I can see why he would get picked to come to the home. He isn’t perfect, but his imperfections make you want to root for him even more because he feels so real. Some of the secondary characters fall a little flat, but the important ones are more well-rounded. The villain is also sufficiently creepy and intimidating. She is not an easy foe and she is very good at keeping secrets. 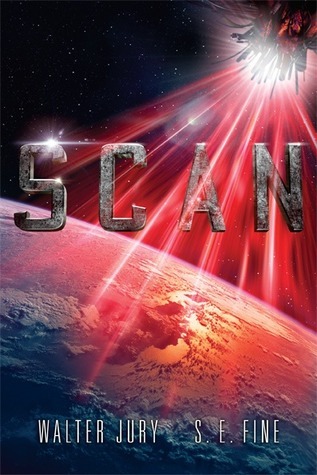 The whole premise of this book is very disturbing, mostly because it is a possible future. Climate change is going to have significant impacts and those impacts will be show the differences between the uber-wealthy and the poor even more. I like that there are some dystopian coming out about climate change because they feel so real. This is a great dystopian book. Which do you feel could be the most realistic dystopian society? Let me know in the comments! A lot of people are fascinated about the evil of Hitler and what he did. How did he get into power? How did it happen? 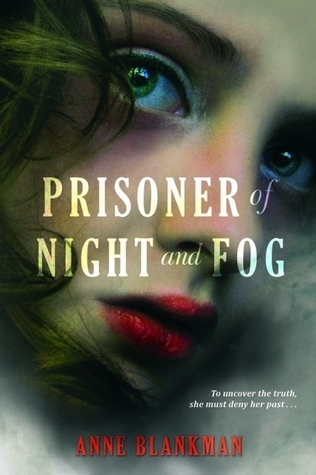 This book takes a look at it through the eyes of a fictional teenager. The result is a powerful historical novel that has a lot of crossover appeal to the adult market. The characters are amazing, especially since so many of them were real people. In the author’s note, it says that a lot of the events are accurate, but we obviously do not know all the specific conversations. They have been imagined very well and I felt like I was reading Hitler and his top advisors words. There was also a distinctive difference between Gretchen’s Uncle Dorf and when she sees him in a new light. The completely fictional characters were so interesting. I wanted to shake Gretchen to see what was really happening and what Hitler really meant. There is also a scene in the beginning that is really hard to read with the way she is describing a Jewish man. Sadly, that is how people thought. Watching her learn what was going on and start to question things made me wonder if there were any Gretchen’s in his life that had to run and hide. Gretchen is bright and clever, but a little naive which just makes her more real. Her brother is terrifying and it is scary to know that there are people like him in the world, but there are. Daniel was wonderful. He challenged those around him, was brave, and always wanted to do what was right, not what was easy. At some points it felt like he was perfect, but he wasn’t. He had to be so good though since only that would really help change Gretchen. This isn’t just good as a historical novel, it is also a good look at psychology and sociology. I feel like I learned a lot from this book and really hope to see more from this author. It is hard to believe something this well-written and thrilling is a debut. This is a fantastic book and I hope lots of people read it so we can all talk about it. 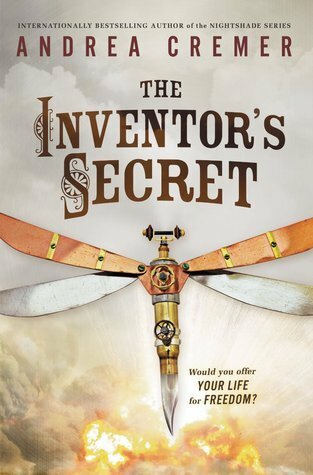 I really think steampunk can be a successful genre, but so far, it hasn’t been. Combining it with an alternate history so different adds to the appeal, as does a best-selling author. So maybe this will be the book to finally break out. I hope it is. It is great. In this world, there was no Revolutionary War and the class differences in the colonies is even worse than it is in the United States now. There are different levels of society and only the Upper Level can go wherever they please. It is a fascinating look at what could have been and what could be. But if alternate history isn’t your thing, there are great characters and a intriguing plot. But there is a group that lives outside of the society, a group of children. Their parents are rebels and have set up a place run by older children so they can live outside of the tyranny and one day join the forces. Charlotte and her brother are seen as the leaders and go into the city along with Jack to get more information. It is her first time in the city, and the culture shock is high. It was great to see it through her eyes because it showed how ridiculous the very wealthy are. Charlotte is an awesome character, no one expects as much from her because she is a young girl, but she is smart and daring. There is a love triangle, but it is actually a very good one. I buy both love interests and see how she is pulled from one to the other. At one point I wanted to reach in the book and slap one of the guys…so it is pretty realistic too, because teenaged boys do stupid things! The story is full of mystery and suspense. The answers are not always so clear and when they are revealed the reader is left with so many more questions, but in a good way. This is a really great book and I look forward to the next one in the series. My only problem with it is that the end was a bit of a cliffhanger, which is always frustrating! Do you like steampunk or alternate histories? Have you read any good ones? Let me know in the comments. It seems that Simon & Schuster for Young Readers also saw that we need more thrillers for middle grade readers, which is really exciting. I love it when a publisher sees an opening and finds truly wonderful books. This thriller also adds a little fantasy with mythical creatures that are awesome. This book is a step above others because it also shows a young man from being poor to being more wealthy. The majority of the book takes place on a train after the family has become wealthy. It really works because he goes from the comfort of first class all the way to the very back, where people are getting taken advantage of when they already have so little. Since he has been in that situation, it shows compassionate and realistic look at the wealth disparity that was present in this time period and also goes on today. Of course, that wasn’t the point of the book, it is just something that Oppel showed incredibly well. The point of this book is for Will to get to his father before everyone on the train dies. Those are pretty high stakes and the action in the book really makes it work. I feared for Will’s life several times and was eager to see how he would get out of the dangerous situations. Yet at the same time, you feel a little sorry for the bad characters because they have been worked hard all their lives for very little. Are there actions an appropriate response? Not really, but you can see why they are doing it, which always makes for a better villain. My only issue with it was that there were a couple of slow parts that I had to push through and I had to suspend some disbelief a couple times. The train was supposed to be really long, but it didn’t seem to take Will enough time to get a great distance at times. It wasn’t enough to not recommend this book and it actually gets a 4.5 out of 5. 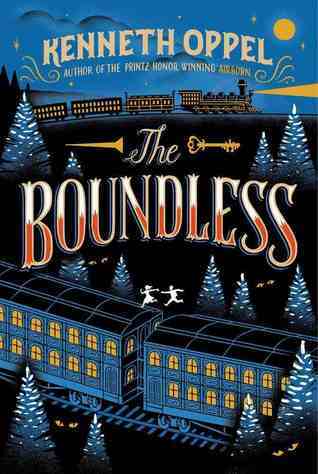 This is a fun and smart thriller appropriate for all ages of middle grade readers. 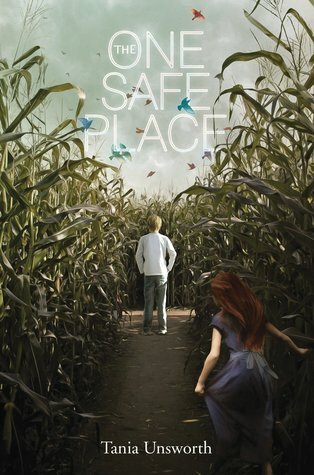 I also think young adult readers would really enjoy this book too!